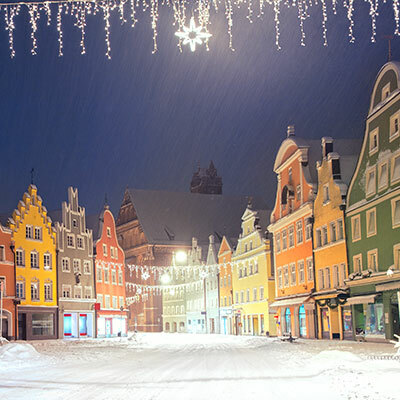 Imagine the sweet smell of gingerbread in the air, the twinkling of lights hanging above snow-kissed windows, and the magical feeling of experiencing Europe in the winter time. 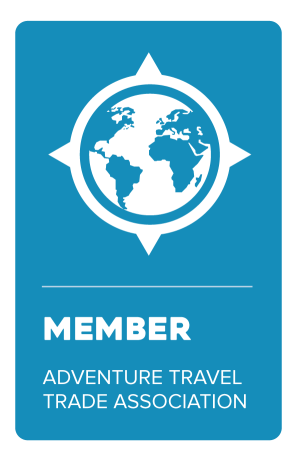 Below, discover the destinations that will leave unforgettable memories on your clients' winter vacation. Just as magical as the Aurora Borealis is the beauty of a Scandinavian winter. 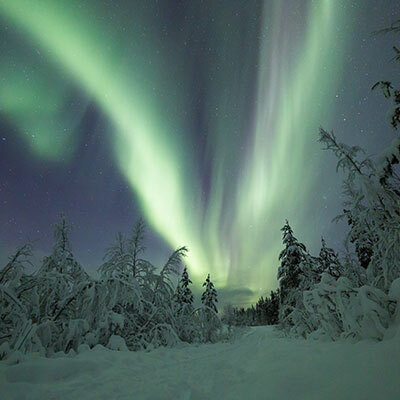 Track the steps of reindeer and moose, brown bears and musk oxen as you swish across the landscape on your own dog sled. Snowmobile over frozen lakes and take snowshoe treks through vast stretches of wilderness before exploring the villages of the Sami people, one of the oldest cultures on Earth. Thomas Wolfe called Munich a “German dream translated into life.” This is especially true during Advent season when carols spill from the Gothic cathedral and shoppers sip mugs of warm mulled wine. Imagine a 100-foot Christmas tree and an ice rink where giggling children glide beneath the stars against a backdrop of the snow-capped Alps. 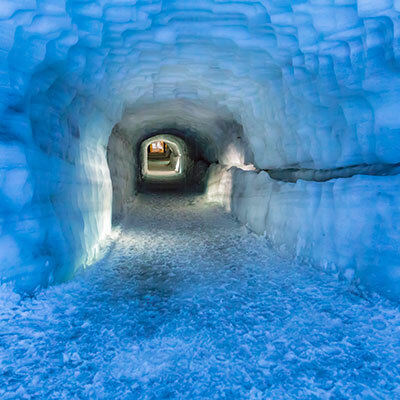 Board an 8-wheel glacier truck to make your way through the icy blue tunnels and caves of the Langjokull Glacier. Deep inside the frozen labyrinth admire fjords and waterfalls as you learn of the effects of global warming on the landscape and watch as the ice melts and transforms before your eyes. Contact Jubilee Travel to book your winter wonderland getaway!